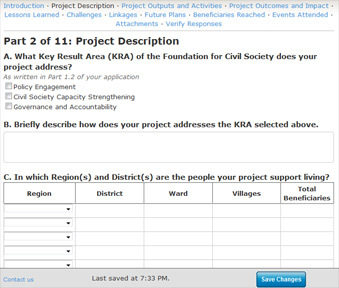 Some grantmakers use Envaya to collect reports from the organizations that they fund. If your organization has a grantmaker that uses Envaya, they will contact you with information about how to start the report. When you start the report, there will be detailed instructions about how to complete the report.